Are You A Diner Coffee Junkie? As for the drink and food, the coffee was fantastic (Think I had 3 cups? Maybe more?) and our burger (not mine! 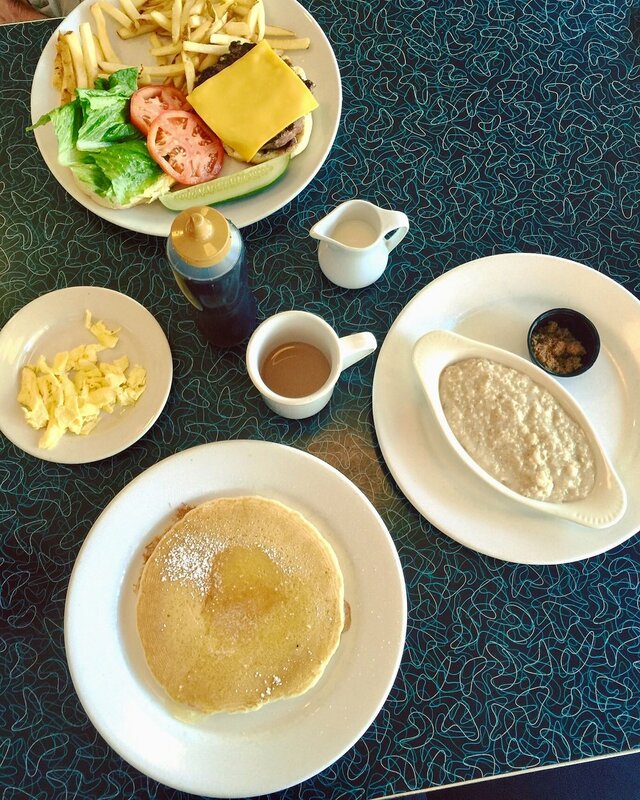 ), eggs (mine), oatmeal (mine), and pancakes (mine again...I was HANGRY!) were fresh and delish. No grease whatsoever, which is one of the very possible pitfalls of diner eats. I've also heard other people raving about their hot chocolate and pies and cakes. So appealing then for all your dining and Insta(gramming) needs this winter and beyond.